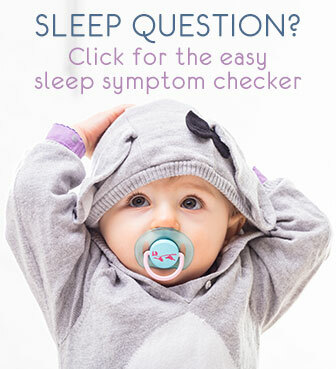 A baby cold is usually mild and harmless but can really disturb your little one's sleep. You can keep her comfortable and sleeping well with these simple yet effective cold remedies. The main symptom of a common cold in babies is the blocked and/or runny nose. A clear or light liquid, called mucus, drips from her nose. This can make your baby uncomfortable and cranky. She may also have difficulty feeding comfortably and therefore seem to loose her appetite. Babies are nose breathers and have difficulty coordinating their breathing while feeding when they have a congested nose. And because she'll be more uncomfortable when lying down, sleep is easily disturbed. 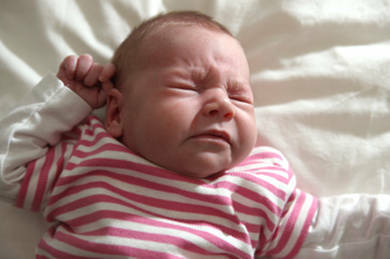 Most babies wake up more frequently during a cold and many also have difficulty settling. They have more postnasal drip when lying flat which again disturbs sleep. This usually lasts a couple of days to a week. If symptoms persist or your child develops more serious symptoms like a fever, coughing, breathing difficulties, etc. it is best to consult your doctor. Especially with newborns and really young babies, it is best not to wait too long. A common cold usually does not require medication and should be over in less than a week. Over-the-counter cold medications are not considered safe under the age of 4 years old, and most prescription decongestants are not approved for administration under the age of 2. In the mean time, for the best possible sleep during a cold, the main goal is to keep baby's nose clear. 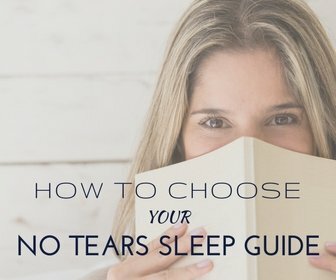 This will improve her breathing and overall comfort and therefore help her sleep better. This is a very gentle way to keep the mucus soft and baby's nose clear. You can safely rinse several times a day and also at night. Saline solution, also called physiological serum, is actually sterile salt water. You can buy it in handy unidoses or in a spray. The single-dose bottles are ideal for newborns. You simply rinse the nose by squeezing the bottle a bit. For an older baby, typically from 3 months, you can safely use a Saline Nasal Spray. The jet is a bit stronger and therefore more effective. Use the unidoses only once for hygienic reasons. The sprays have an ingenious system that does not let any germs into the bottle. So the liquid is always sterile. Just wash the removable nozzle with warm water and soap. Rinsing the nose is only to improve comfort, and by helping to drain the nose and keep it clean, it helps speed up the recovery. To help your baby breathe better and get rid of some of that nose snot, you might try to 'manually' remove it. Be extremely careful though, as the interior of baby's nose is extremely delicate. You can very easily damage it. Also don't over-use this: only aspirate when absolutely necessary, and not too frequently: your baby's nose can get very irritated if you do it more than once or twice a day, and it can even start bleeding. Also avoid sticking a cotton swab or cotton bud in the nose - the risk of damaging the inner nose is large. 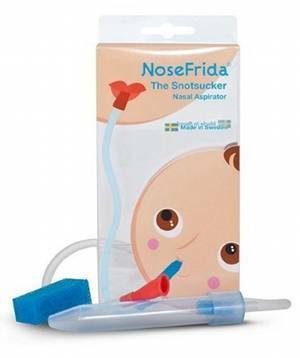 A good alternative is a pediatric nasal aspirator, such as the recommended Nosefrida Snotsucker. 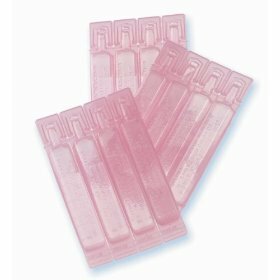 Such an aspirator is a clean and safe tool to relieve discomfort. My personal Top Tip! This is a simple natural remedy but so good. I use it also for older kids, and myself. How it works: you halve an onion and place it near your baby's head when she goes to sleep. The evaporating onion juices keep the airways free for better breathing during the night. One warning: make sure your baby or toddler, once old enough, cannot grab the onion and try to eat it. If needed, you can place the onion in a tight container (that your child can't open) with air holes in the lid. Steam helps keep the nose liquid moist and so, reduces congestion. A simple warm bath is always nice when having a cold. For extra steam, you can also take baby to the bathroom and then run a hot bath or shower. Your little boy or girl can just sit on your lap or play on the floor, as long as she is supervised and no hot water can spill on her. A warning: don't use topical rubs like the well-known Vick's or similar. Many of us have been recommended it by our parents or grandparents, in particular to rub it on the chest, feet or under the nose. This can be dangerous for your little boy or girl, and the rubs that contain camphor can be lethal or cause seizures so avoid at all cost! There are infant, camphor-free versions available, but they're never recommended under the age of 3 months. As always, consult your doctor to be on the safe side. A baby cold is very common but luckily mild in most cases. Try any or several of the remedies above to prevent it from disturbing your sleep. Each remedy also helps speed up getting rid of the symptoms.